Each week I share 5 things I’m currently loving — fitness, food, fashion, or Fenway related. Be prepared to either be inspired to try something new or disappointed by many of my superficial favorites like lipgloss and hair products. Ha. Ok, I’ve gotta be honest. Fat Fasting isn’t exactly my favorite, but it has been one of my favorite things to talk about all this week AND it is now is my favorite tool to help my keto clients break through weight loss plateaus. In order to save myself some time to do fun things with my life, I’m not going to go into much detail here about what a fat fast is, how to do it, or what to eat because I already did that in a previous post right damn here. So go read that now, you lazy SOB! I’ve been talking non-stop about this stuff the last 4 months. So much so that I think I should be given a free monthly supply by the good people at Kegenix buuuuuut, I’m not that lucky. 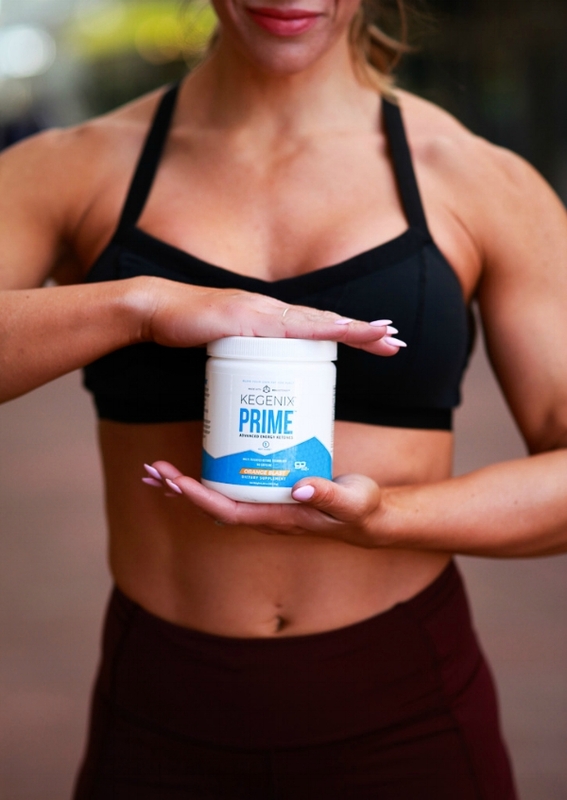 Anyway, if you’re on a keto diet or you’re interested in starting one then I highly suggest keeping a supply of Kegenix™ PRIME on hand. This stuff seriously makes me feel superhuman. I take one scoop only on days where I am working out in the morning, (hot yoga, trail running, or OrangeTheory), or on a morning after having too many carbs... Or if for some other reason I wake up feeling like doo-doo. Like yesterday morning, for example, I had one (rather large) glass of red wine on Thursday night and I woke up Friday feeling like I had been hit by a truck. I took one scoop of Prime mixed with ice water and within an hour I was ready to smash an Orangetheory workout, keeping a faster “base pace” than I’ve ever held before @ 7.5. It’s true. Also, I think it tastes good, but I’m not a baby about the taste of supplements. I stand at the counter and drink it down and then I just wait for the magic to happen. You can read more about my favorite product and order some for yourself right damn here. I listen to all of Joe Rogan’s podcasts but this one is by far my favorite (at least for this week). So many truth bombs about the state of health in the US! I’ve already listened to this podcast 2.5 times, all while taking notes on many of the mind-blowing facts presented. If you’re not even the least bit intrigued about this podcast after reading the above list then you, my friend, are a simpleton who shall enjoy a short, unhealthy life under the rock from which you live. 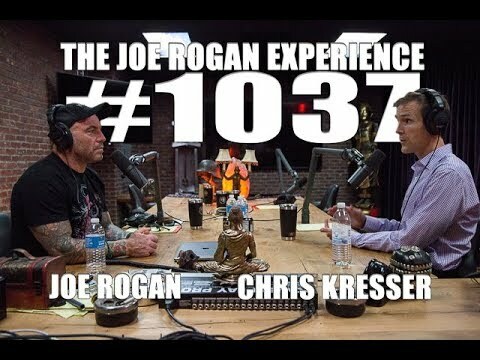 Or search The Joe Rogan Experience Episode #1037 in iTunes or listen to it on the Stitcher car radio app, which I refuse to include a link for because I can't do everything for you. Last week I shared CoffeeBooster as one of my 5 favorites (and if I did a repeat, CoffeeBooster would be among my 5 favorites this week, too). However, a cup of coffee with a tablespoon of CoffeeBooster is not complete without a 20-30 second magical stir of this milk frother. Even if you don’t add MCT oil, CoffeeBooster, or heavy cream to your coffee... Use it! This little gem whips up a rich, creamy froth in my bulletproof coffee that is unmatched by any other kitchen utensil I have in my collection. Seriously bummed I didn’t invest in this six dollar slice of paradise sooner. I even use it to blend my hard to breakdown pre-workout powder. You can get it on Amazon right damn here. This recipe is OMG delicious, nutritious, and easy to make. I’ve already made this twice, once for just me and “the kid” (aka Kevin, my husband), and again on Thursday night for our friends who came over to our house for a dinner party aptly named, “Just the Tip”. I hope you enjoy this recipe as much as me & Kevin do! You can find the recipe right damn here. Could we BE any more adorable????? I seriously had a freakout attack yesterday when I wasn't able to finish this post before the end of the day. I was like, "I can't post My 5 Favorites Friday ON A SATURDAY!" But then I chilled the F out because honestly, who actually cares about these posts and more importantly, who is actually even reading these posts? If there are any readers out there, how about you leave a quick comment below and tell me who you are (first name only) and where you're reading this from. RIGHT. NOW. Post a quick comment below. This could get interesting!